Todd Pletcher heads into Saturday’s racing needing only one more winner to reach the 3,000 victory mark. Pletcher began his training career as an assistant to Hall of Famer D. Wayne Lukas. Pletcher took out his training license and went out on his own in December 1995. His first winner, Majestic Number, came in February of 1996. On Saturday Pletcher has horses entered in seven races at Gulfstream and two races at Aqueduct. Interestingly his entry in race 4 at Gulfstream is also named Majestic Number. Race 4 is a seven furlong maiden special weight for three year-olds. This Majestic Number is listed at 6-1 on the morning line after running fourth in his first start at the Florida track on January 5, 2012. The Officer colt was bought for $45,000 at the Ocala March 2011 sale for two year-olds. The first Majestic Number was a filly by Polish Numbers. 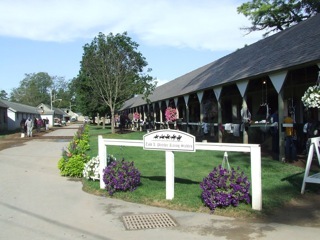 This entry was posted in Aqueduct, Belmont Park, Eclipse Awards, Horse Racing Nation, Monmouth Park, Saratoga and tagged Aqueduct, Belmont Park, d wayne lukas, Monmouth Park, polish numbers, Saratoga, todd pletcher. Bookmark the permalink.